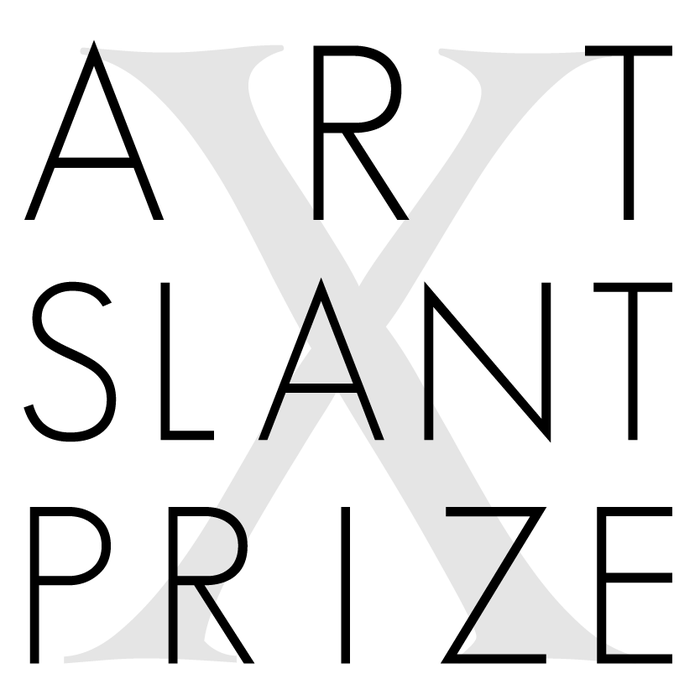 The ArtSlant Prize, now in its 10th year, is given to emerging and mid-career artists that exhibit great potential and commitment to their artistic practice and whose work helps advance contemporary aesthetic, conceptual, and political discourses. Previous winners include Brigitta Varadi, Edra Soto, Theresa Ganz, Michael Zelehoski, Holly Murkerson, Robin Kang and others. As part of this program, three to four winners are selected annually for the ArtSlant Prize Exhibition, held during a major art fair in the United States; winners have had their work exhibited at the fair Aqua Art Miami, held during Miami Art Week and SPRING/BREAK Art Show during Armory Week in New York. In addition to the exhibition, winners receive cash prizes ($3000 Grand Prize, $1000 second and third place), sales opportunities, a catalogue essay, and continuous promotion and exposure on the ArtSlant platform. Over the course of the year, our users submit their work to be reviewed by a panel of jurors comprised of renowned gallerists, curators, arts professionals and artists. From each round (ten rounds total), one Juried Winner is selected from each category. You can check out all the Juried Winners so far here. 1. Go to your ArtSlant artist profile. Don't have one yet? Open your profile now. 2. Find the Manage box on the right side of your profile and click on contest entry. You can also enter from your Contest tab from your Account page or click on ArtSlant Prize from the Settings menu on the top right of any page. 3. The entry form opens. You can submit only one work for each round. Complete the Showcase entry forms as indicated. 4. There is an entry fee of $3 for each Round. You must have a Paypal account or a major Credit Card. 5. Showcase Winners in each round can select the $25 premium placement to enter into the Juried Round. The ArtSlant Prize winners and exhibitors are selected from the Juried Winner pool by the ArtSlant Editorial Staff. If you have not opened your ArtSlant Profile yet, please see our FAQ's for assistance. Or, if you already have an account but have not created an Artist's profile, sign in to ArtSlant and click on ADD on our menu bar, then Add Your Profile. There is a $3 entry fee for all competing artists for each round. If selected as a Showcase Winner in any round, a $25 premium placement fee will be charged. This allows the Showcase Winner to go into the Juried Select competition for that round, and it gives them placement in the ArtSlant Showcase (which appears both on the homepage as well as under the ART tab). Each artist may elect to extend their premium placement at $25/month until such a time as they wish to withdraw their work from display. Any artist with an ArtSlant profile is able to apply. What are the winning stages for each round in the series? Entry Phase: Approved entries in each Showcase Round will be displayed in the ARTshow during the entry period. During this time, thousands of ArtSlant visitors will get to see your work while the ArtSlant Curation Team looks at each artist profile as they make decisions on the Showcase Winners. If you need help categorizing your work, please see our FAQ for assistance. Showcase Winners: At the end of each round, a group of Showcase Winners are selected by our curation team and reviewers. Selections for Showcase Winners are based upon quality of artwork and the artist's profile display. Premium Placement fees will then apply. Juried Select Winners: Next, our panel of international gallerists and curators choose the top 8 artists, one from each category, from the Showcase Winner group. These Juried Select artists are then eligible for consideration by our curatorial team for the year-end ArtSlant Prize exhibition and cash awards. In addition, all Juried Select Winners will have the opportunity to sell their work in our SalesRoom. ArtSlant Prize Winners: At the end of the year, we select the final four winning artists from the group of Juried Winner artists. These four artists will exhibit their work , win cash awards, and be considered for purchase by the ArtSlant Collection. **All participants in the ArtSlant Prize Showcase Series agree to ArtSlant's Terms & Conditions. **Fees from the Artslant Juried Showcase competitions will be dedicated to promoting our winners to the worldwide community of art buyers and art professionals.